Your Sunday football party is about to get more expensive. In its earnings release Monday, Buffalo Wild Wings (BWLD) said it plans to hike menu prices by an average of 3% at the end of November. 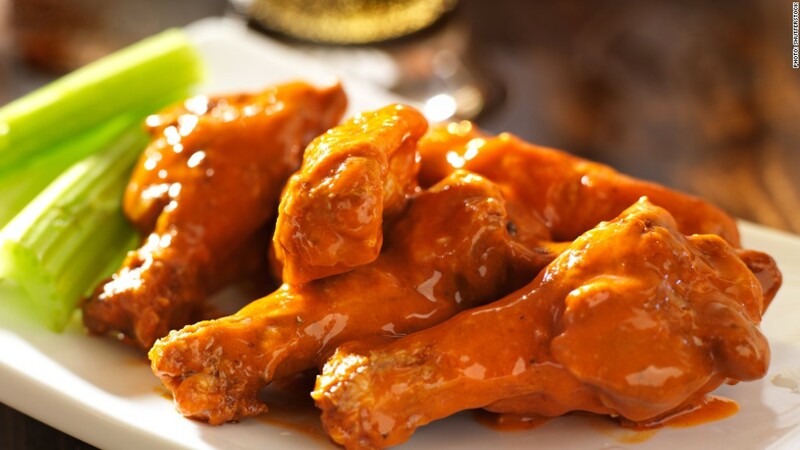 The restaurant operator, also known as B-Dubs, says it's paying 30% more for chicken wings these days, and it's time for customers to pick up the tab. That didn't kill Wall Street's appetite. Shares of Buffalo Wild Wings shot up over 10% Tuesday. "They need to hike prices because wing costs are a big headwind. They have no choice," said Nick Seytan, a restaurant stocks analyst at Wedbush Securities. "It doesn't sound like they expect much of a push back from customers." To be sure, it's not as if the price bump will make B-Dubs' clientele go broke. A 10-piece order of wings at one of its Chicago locations sells for $11.99, so the price hike would only result in difference of about 35 cents. Still, Seytan said the increased menu prices won't offset the bite of higher chicken costs. Why are the birds so darn expensive? For one, it's football season, so demand is pretty high this time of year. But even worse, farmers aren't producing enough chickens, according to Seytan. He says that feed prices had been unusually high earlier in the year, but have since come down dramatically. While restaurants had anticipated more favorable chicken prices by now, it's taken a bit longer than originally thought. But the real reason investors are feeling pretty good about Buffalo Wild Wings has more to do with the company's sunny outlook for its own performance for next year. The firm expects an 18% profit jump in 2015. Buffalo Wild Wings' strategy rests heavily on the notion that it can blend technology and its brick and mortar stores to create an interactive social experience for customer around sports viewing. The wing joint said it boosted the number of Fantasy Football draft parties held at its locations this year. At such events, fans can use restaurant-provided tablets to play Fantasy Football with friends. B-Dubs is also improving its Wi-Fi capabilities so that patrons can play Fantasy Football on their own computer or mobile device. It's even hiring dedicated staff to help oversee the Fantasy Football parties. "We just think that drives a great mark into football," said CEO Sally Smith on her company's conference call Monday.